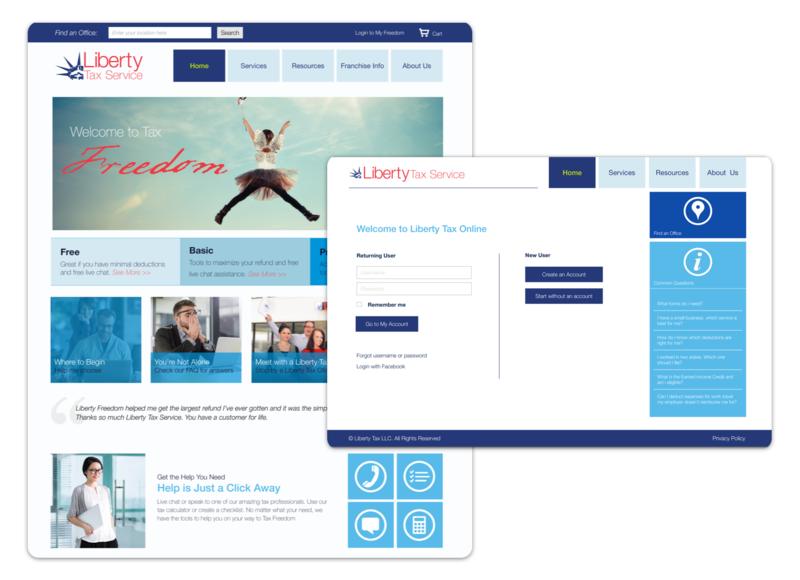 A few of years ago Liberty Tax Service contacted me about taking over the design, strategy and build of their DIY tax tool. They'd already dropped a couple of million dollars on the project and it was going nowhere fast. So I accepted and quickly assembled a team to save the day. Unfortunately, due to a super-compressed timeline for delivery, we were unable to place a lot of emphasis on a responsive build, much less take a mobile first approach. Thankfully Bootstrap's framework satisfied most of the needs wihtout a great deal of additional development. At the time, Bootstrap had gained immense popularity and flat design was the cool trend, so we headed in that direction. From a UX/UI/VX standpoint, it wasn't really all that difficult. I mean, a DIY tax tool is pretty straightforward when you get right down to it. Build the shell and throw in the proper bells, whistles and tools needed to guide the user through the experience. Make it simple to navigate and pleasant to look at. In the end, the project was delivered ahead of schedule and they were ecstatic with the results. 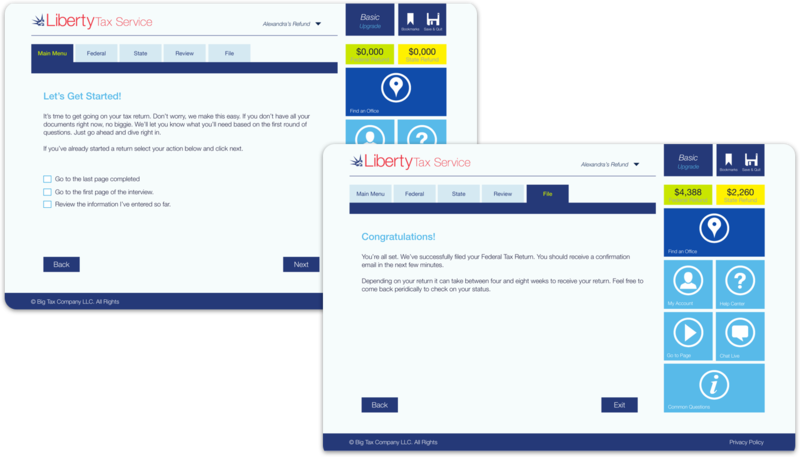 A couple of years ago Liberty Tax Service contacted me about taking over the design, strategy and build of their DIY tax tool. They'd already dropped a couple of million dollars on the project and it was going nowhere fast. So I accepted and quickly assembled a team to save the day.